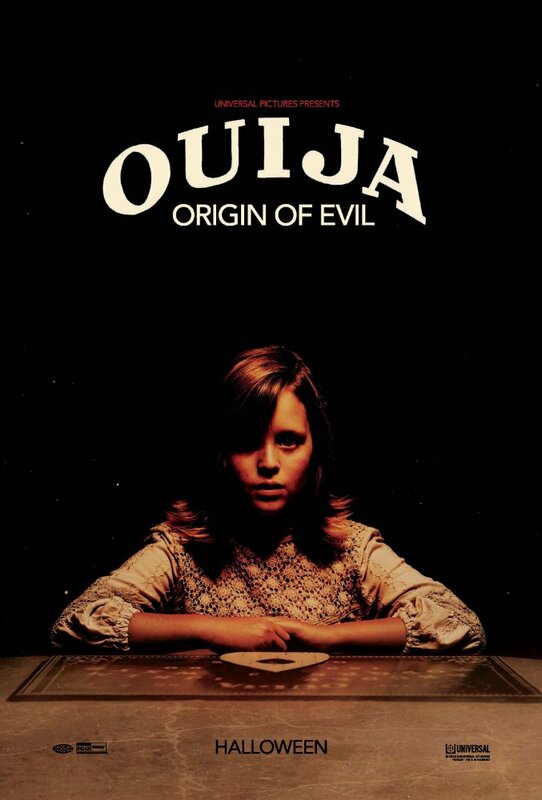 Ouija: Origin of Evil tells the story of how a board game became the source of evil shenanigans thanks to some really bad historical happenings. 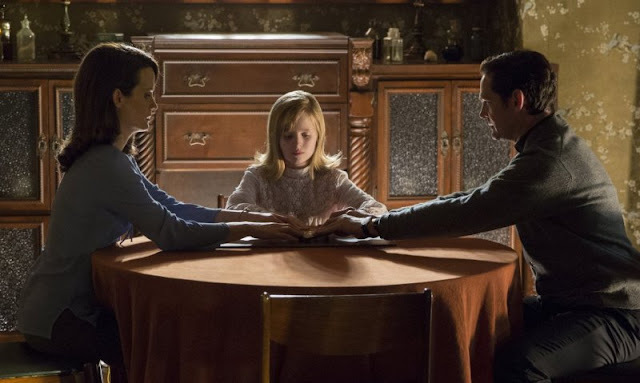 The film was written and directed by Mike Flanagan (Oculus) and features acting performances from Elizabeth Reaser, Annalise Basso, Lulu Wilson, Henry Thomas, Parker Mack, and Doug Jones. The first movie in this, I guess what we can now call a franchise, was so memorable that I forgot to ever write a review. With that in mind, I wasn't too sure about how this film would turn out although I really enjoyed Flanagan's Oculus so I remained hopeful that this could be an entertaining entry into the horror genre. Flanagan manages to maintain an intensity throughout the film that is punctuated by a standout performance from Lulu Wilson whose young character becomes the target of some evil nastiness. I also liked how there were a few twists and reveals, to go along with all the scares, which helped to put this movie in much higher standing than its predecessor. Ouija: Origin of Evil is a worthy entry into the horror genre and is a far superior effort to the first installment in this series. I would be interested to see what else Mike Flanagan can do with this property as he is proving to be quite adept at giving us some truly frightening and entertaining horror stories.